Naxos or Chora is the capital of the island, famous for its Old Town, the well-preserved heartland of Chora, with the picturesque cobbled streets and the lavishly-decorated little shops. One particularly wonders at the variety of other attractions such as Portara, Panagia Myrtidiotissa (a church located all alone on a small islet), the hundreds of other churches and ancient temples, the Ancient Castle, the Museum and the vibrant nightlife (multiple bars and restaurants). The Naxian interior hosts more than 30 villages, each baring a special cultural history and a unique «personality», and the ruins of a lot of world-wide known memorials of the ancient world such as Kouros of Melanes and Apollo, the historic Apiranthos village, Panagia Drosiani (the oldest Christian fresco in the Balkans) and the small Naxian Mystras. While on holidays in Naxos, you will discover another noticeable feature of the island: its coastal line, full of worth visiting beaches. Agios Prokopios beach with its crystal clear water, Agia Anna with its golden sand and Plaka beach, famous for its water-sports facilities, are only some of them. 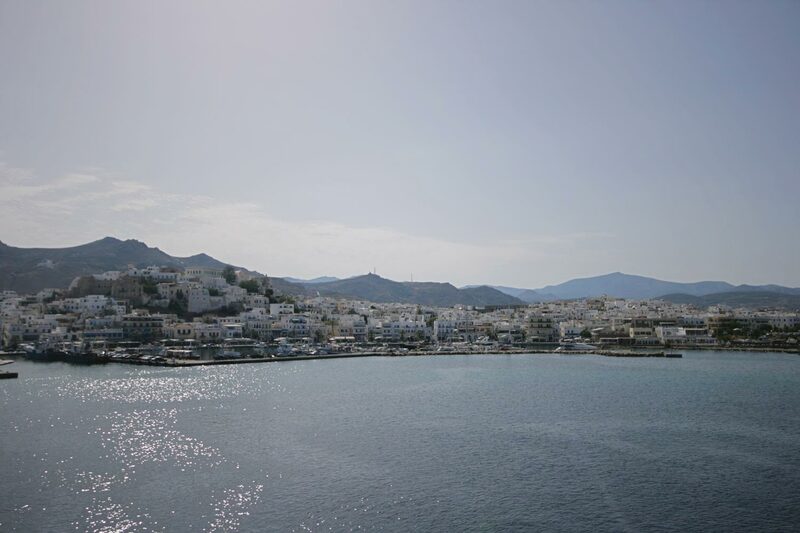 Naxos island can be reached easily by air (35 minutes from Athens) or ferry (3.5 hours by speedboat and 5.5 hours by ferry).